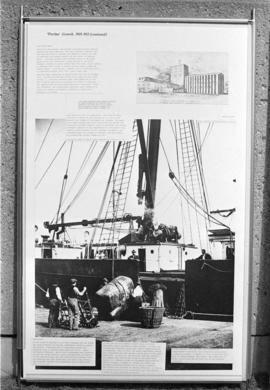 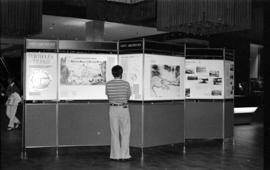 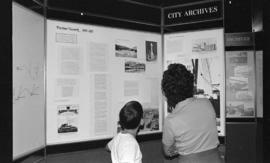 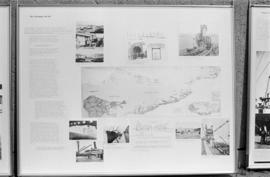 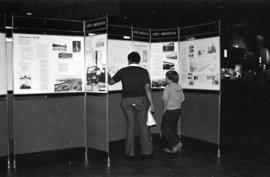 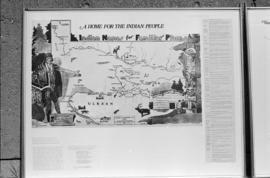 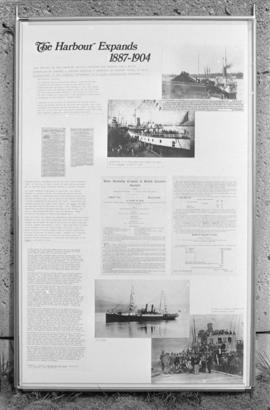 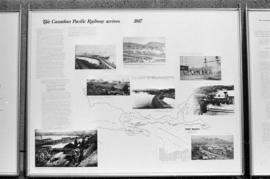 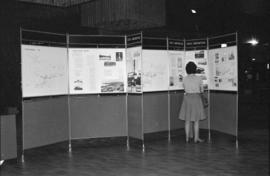 Item is a photographic reproduction of an architectural rendering depicting the City of Vancouver Archives and the Museum of Vancouver in Vanier Park signed [Wynan?]. 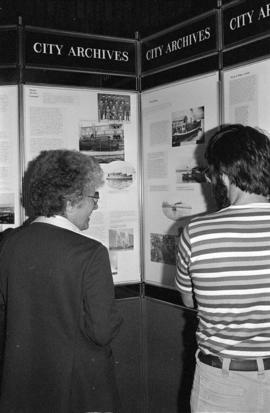 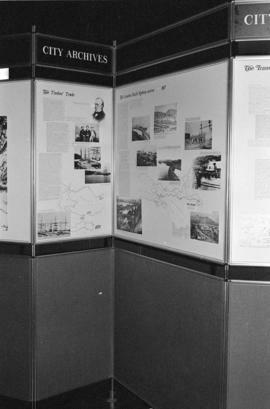 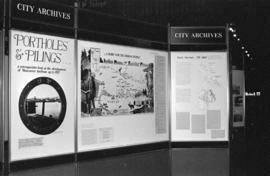 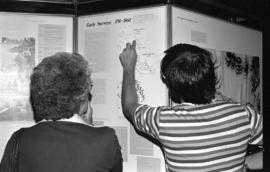 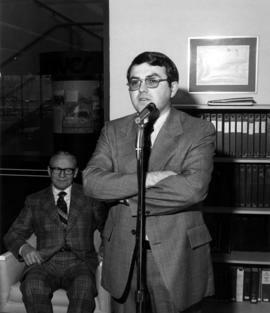 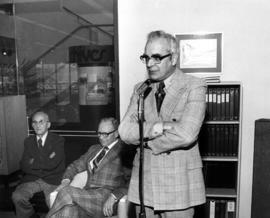 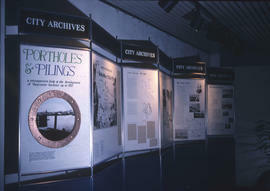 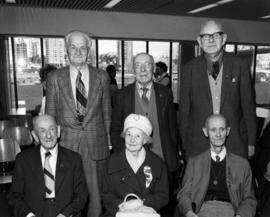 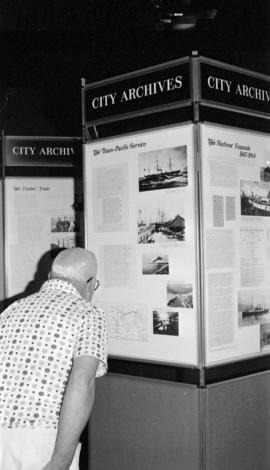 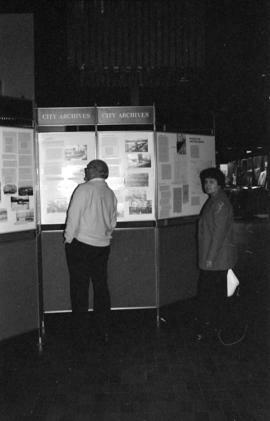 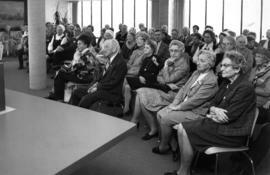 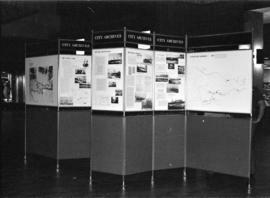 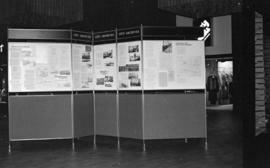 Item is a photograph of members of the Vancouver Pioneer Association listening to speeches at the Incorporation Day celebration at the Vancouver City Archives. 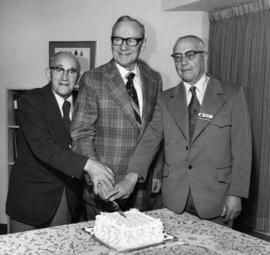 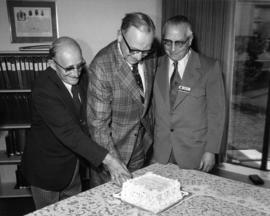 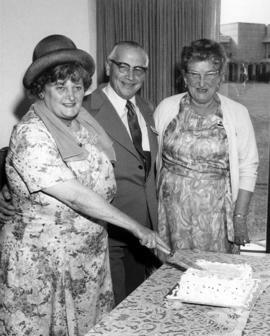 Item is a photograph of Harold Hassan, President of the Vancouver Pioneer Association, Mrs. Hassan (right), and an unidentified woman cutting cake at the Incorporation Day celebration at the Vancouver City Archives. 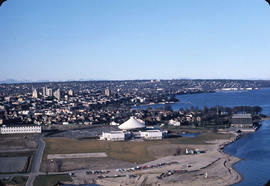 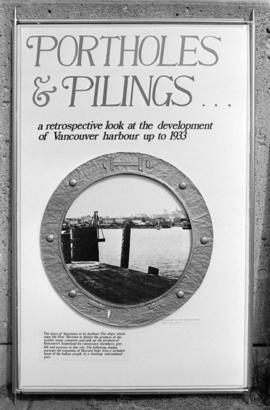 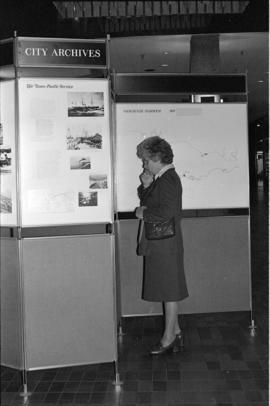 Item is a photograph depicting a view of Vanier Park and the Maritime Museum, as well as the future site of the Planetarium and Archives. 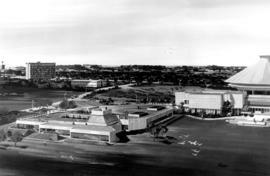 Photo taken from the 28th floor of 1111 Beach Avenue.